Fill out the required registration information. This will register the charger. 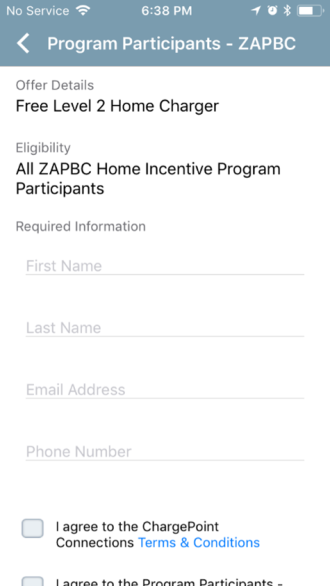 Registration on the ZAPBC Home Incentive Program network is a requirement for an incentive payment.